Urban Armor Gear products reflect the independent spirit of our designers and represent a dedication to superior quality and craftsmanship. Our Metropolis case features a flip folio with a hidden compartment that hold up to two cards. Our design provides 360-degree protection and allows full access to your device's controls and ports. Openings are designed for glare-free flash snapshots and uncompromised audio. The marriage of these design elements and materials working in unison maximizes protection for your device. Urban Armor Gear products reflect the independent spirit of our designers and represent a dedication to superior quality and craftsmanship. Our feather-light rugged cases feature a hard-outer shell and a soft impact resistant core. 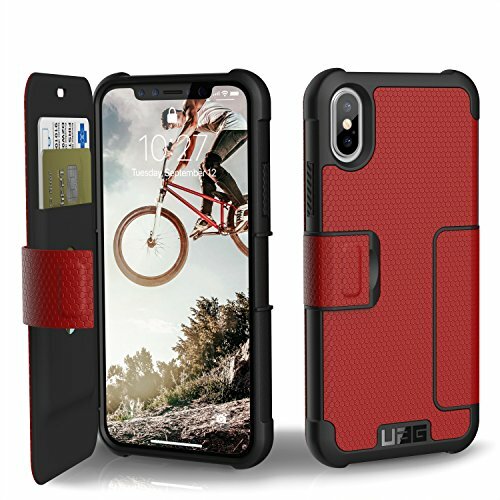 Although visually striking, the unique shape of the case also provides strength while minimizing size and weight. Our design allows full access to your device's controls and ports, while openings are designed for glare-free flash snapshots and uncompromised audio. The marriage of these design elements and materials working in unison maximizes protection for your device. 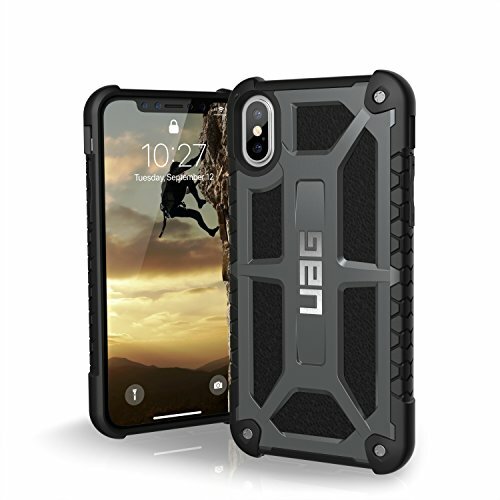 UAG cases are Apply Pay & wireless charging compatible and available in an array of vibrant colors. There is a twelve-month manufacturer warranty. Urban Armor Gear products reflect the independent spirit of our designers and represent a dedication to superior quality and craftsmanship. Our innovative Trooper card case solution features a hidden backpack compartment that holds up to 4 cards. 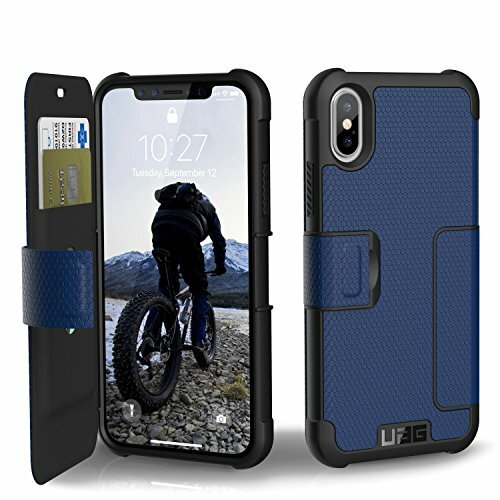 Although visually striking, the unique shape of the case also provides strength while minimizing size and weight. Our design allows full access to your device's controls and ports, while openings are designed for glare-free flash snapshots and uncompromised audio. The marriage of these design elements and materials working in unison maximizes protection for your device. 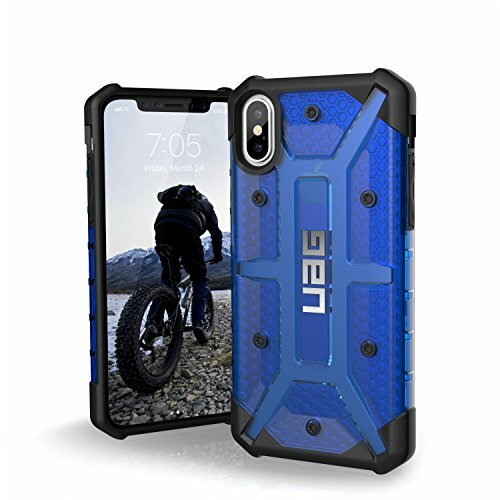 UAG cases are available in an array of vibrant colors. Urban Armor Gear products reflect the independent spirit of our designers and represent a dedication to superior quality and craftsmanship. Our feather-light composite cases feature a hard-outer shell and a soft impact resistant core. 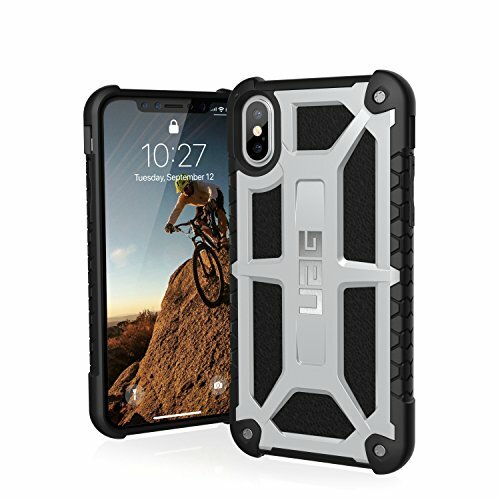 Although visually striking, the unique shape of the case also provides strength while minimizing size and weight. Our design allows full access to your device's controls and ports, while openings are designed for glare-free flash snapshots and uncompromised audio. The marriage of these design elements and materials working in unison maximizes protection for your device. 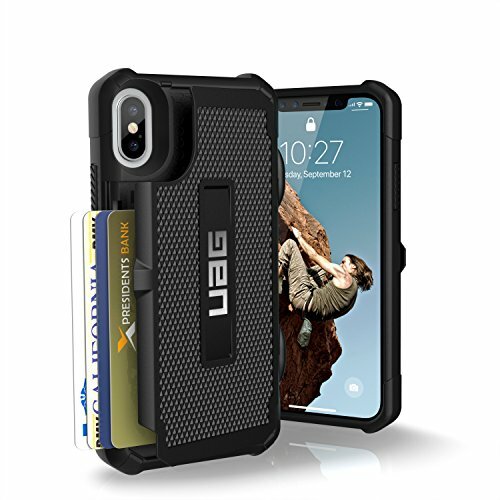 UAG cases are available in an array of vibrant colors. 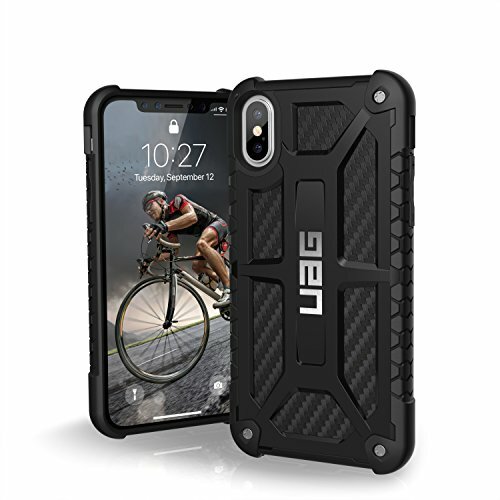 There is a twelve-month manufacturer warranty on each case. 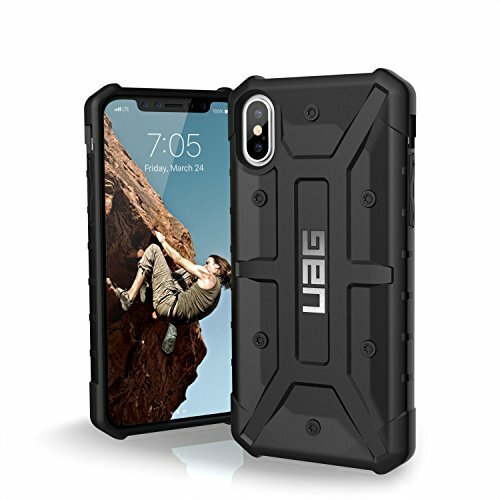 Lightweight, Rugged design - protects your Galaxy Note 8 from bumps, bruises and scratches. 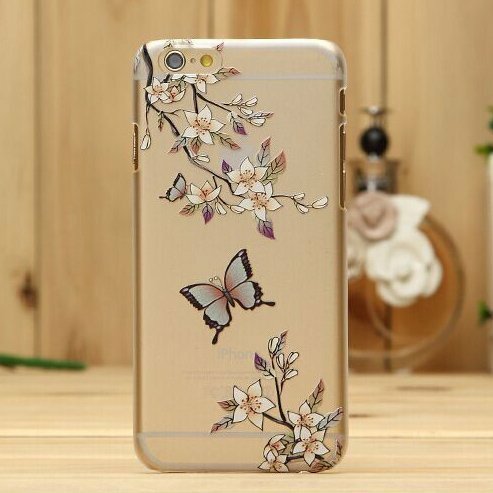 Color: Floral Butterfly LU2000 is a registered brand producing handmade phone cover, Unique design guaranteed with best quality and protection IPHONE 6 / 6S CASE: Updated design compatible with Apple iPhone 6 (2014) and the new iPhone 6S (2015) Design: Henna White Floral Paisley Flower Mandala Material: Hard Plastic Protection : provides protection against daily wear and tear, scratches, marks and scrapes. Lightweight: durable with no added bulk Cutout: Full access to all ports, buttons, and features Packing: -1 x case for iphone 6 6S (4.7 inch) -1 x stylus pen Notes: 1.Picture may be a bit different with real product due to color variation by computer displaying 2.Phone on pictures are not for sell 3.Feedback is very important for sellers, so if you have any details not satisfied, please feel free to contact with us, we will give you a solution out of your mind, please don't just give us a neutral negative feedback or low star rating on details. Thanks in advance. Heavy-Duty, Rugged design - protects your Galaxy Note 8 from bumps, bruises and scratches. Easy access to all phone ports and buttons. Includes Belt-Clip/Holster. The OtterBox® Defender Series case is made up of 3 pieces - a hard inner polycarbonate lining with a soft but rugged silicone outer shell. 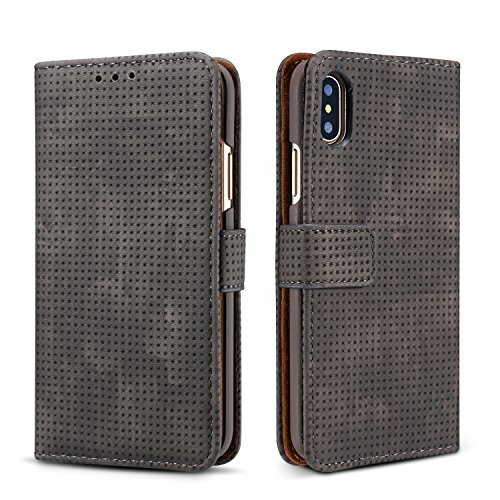 It covers the back, sides, top and bottom of your phone. 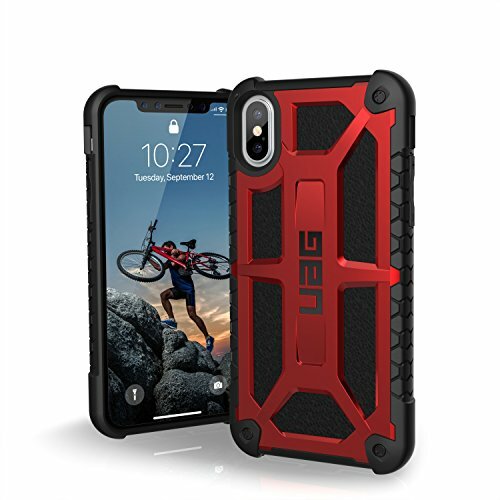 Each case comes with the snap-on OtterBox® belt clip / holster! 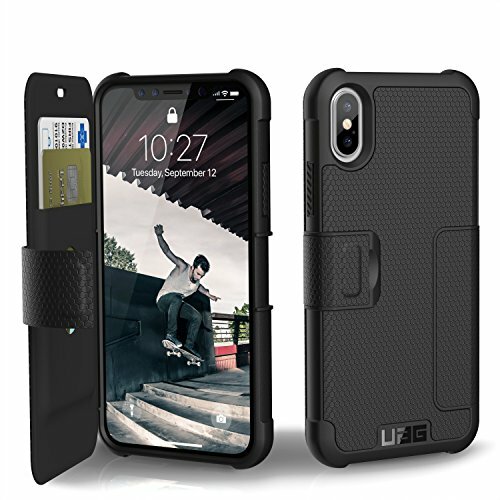 100% Guaranteed Authentic OtterBox Defender Series cases - We purchase these cases directly from an authorized OtterBox reseller, so we know they're the real deal! We customize them just for you and ship them out to you in the original OtterBox packaging. 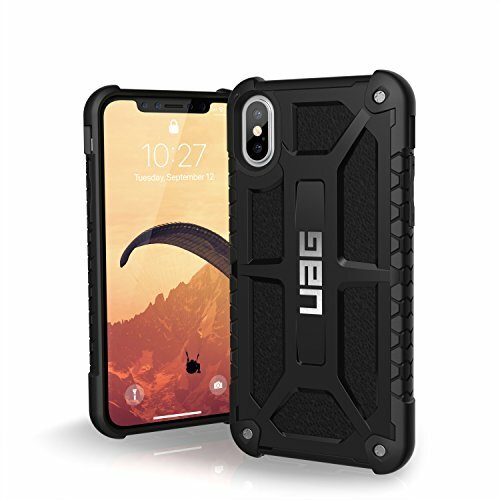 The design is only printed on the back of the case, so the front and sides remain plain black. 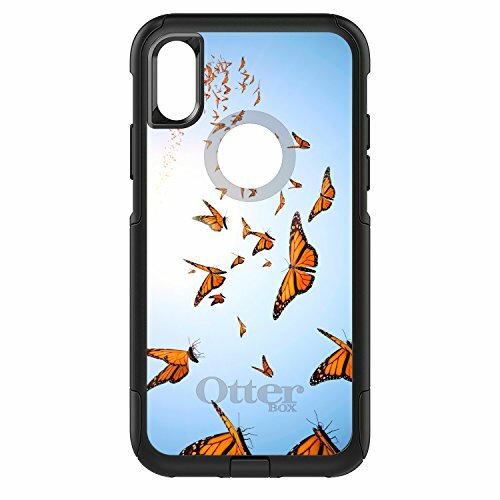 Please note that because we modify the case by printing the design on it, the OtterBox warranty does not apply. Custom Made To Order! These OtterBox cases are custom made-to-order. 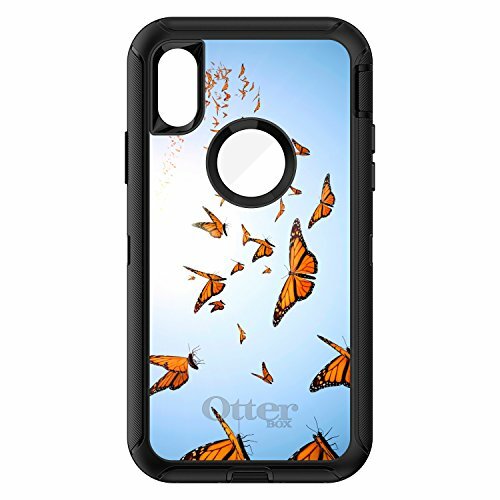 We purchase the cases from an authorized OtterBox reseller and customize them with any design you choose using our special process that makes it almost impossible to scratch, peel or fade! STORAGE ORGANIZER ONLY: It's To Store Your For UTG Med-pro Compact Riser Mount, Streamlight 69260 TLR-1 HL Weapon Mount Tactical Flashlight In It, Doesn't Come With It! Does Not Come With Accessories Or For UTG Med-pro Compact Riser Mount. This Complete Portable For UTG Med-pro Compact Riser Mount, Streamlight 69260 TLR-1 HL Weapon Mount Tactical Flashlight Case Measures 12.0 X 9.8 X 3.6". Made In USA. PERFECT CARRYING CASE: A Sturdy Handle With Compressed Locks To Ensure Protection From Drops, Bumps And Bad Weather. Hard Shell Exterior Made Of Durable Composite Blow-Mold Plastic Prevents Your Riser Mount & Tactical Flashlight From Being Crushed. PROTECT & PRESERVE :The Pick and Pluck 2.0" Thick Layer Of Foam Consists Of Individually Pluckable Dense Foam Cubes, For Secure Positioning. Electronics Are Expensive Help Them Last Longer With This Sturdy Case.A Sturdy Handle With Compressed Locks To Ensure Protection From Drops, Bumps And Bad Weather. CUSTOMIZE & ORGANIZE: Customizable Foam Interior Allows You To Design Separate Compartments For Your Riser Mount & Tactical Flashlight And Accessories. Remove The Desired Amount Of Foam Blocks From The Diced Foam Interior To Create Needed Compartments. IDEAL RISER MOUNT & TACTICAL FLASHLIGHT ORGANIZER : Designed To Perfectly Fit UTG Med-pro Compact Riser Mount, Streamlight 69260 TLR-1 HL Weapon Mount Tactical Flashlight and Accessories. 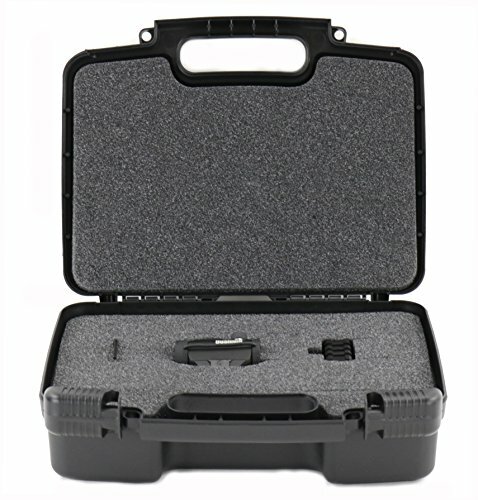 All In One Case Helps You To Be Responsible And Organized, Anywhere They Go.With A Handle For Easy On-The-Go Transportation, Keeping All Of Your For UTG Med-pro Compact Riser Mount, Streamlight 69260 TLR-1 HL Weapon Mount Tactical Flashlight Organized. Perfect Storage For Riser Mount & Tactical Flashlight, Compatible With For UTG Med-pro Compact Riser Mount, Streamlight 69260 TLR-1 HL Weapon Mount Tactical Flashlight -Tight Lid and Lock Helps Prevents Damaging Your Electronics-This Perfect Storage Case Contains A Large Sturdy Compartment To Neatly Organize Your Electronics.-No Breaking Plastic Pieces Apart To Build Your Organizer, Like Other Storage Boxes.-Sturdy Handle For Easy Carrying -IMPORTANT: THIS ORGANIZER DOES NOT COME WITH UTG MED-PRO COMPACT RISER MOUNT & STREAMLIGHT 69260 TLR-1 HL WEAPON MOUNT TACTICAL FLASHLIGHT -Compact Travel And Storage This Hard Case Is Made For UTG Med-pro Compact Riser Mount, Streamlight 69260 TLR-1 HL Weapon Mount Tactical Flashlight And Accessories.- It Is Easier To Transport Using Its Convenient Carrying Handle Rather Than Placing It Inside A Loose Bag. -Measuring 12.0 X 9.8 X 3.6" In Exterior Dimensions, And Internally Fitting Devices And Accessories. 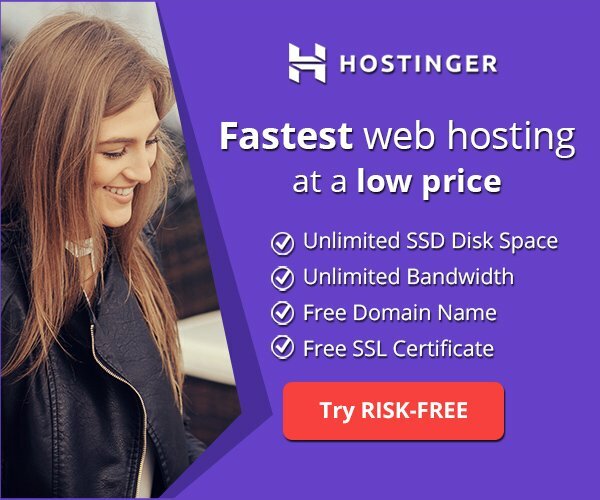 CUSTOMER SATISFACTION GUARANTEED: We Love Our Customers And Will Do Everything To Guarantee Your Satisfaction, If For Any Reason You Are Unhappy, We Offer A Full Refund - No Questions Asked. Order Yours Now And Wait To See The Joy On Your Face When You Receive This Beautiful Life Changing Storage Box. 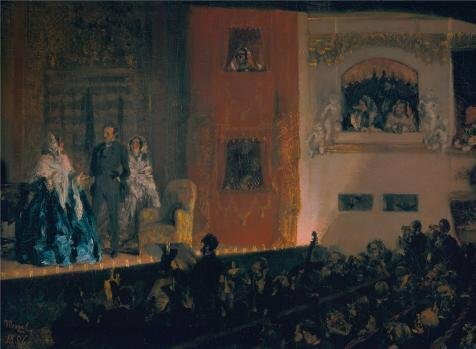 This is a canvas print, named Adolph Menzel - The Thetre du Gymnase,1856. Beautiful Paint on Canvas no frame, no stretch ,Adolph Menzel - The Thetre du Gymnase,1856, is for Home Decoration, or Wall Art Decoration, Home Decor. There are fiber canvas, cotton canvas, or linen canvas. And it is also the best gift for your relatives, or girl friend and boy friend. Canvas named Style of Bonifazio di Pitati The Madonna and Child with Saints . 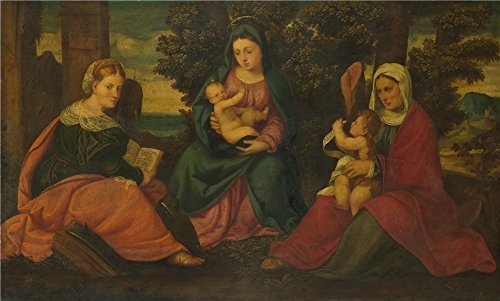 Beautiful Paint on Canvas no frame, no stretch ,Style of Bonifazio di Pitati The Madonna and Child with Saints , is for Home Decoration, or Wall Art Decoration, Home Decor. There are fiber canvas, cotton canvas, or linen canvas. And it is also the best gift for your relatives, or girl friend and boy friend.